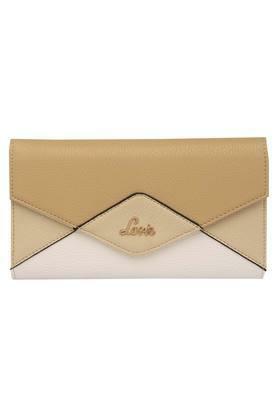 Lavie brings you this wallet which you can carry to flaunt your unique sense of fashion. It has been crafted with care using synthetic leather that makes it stand out in terms of quality as well as lends it a refined finish. 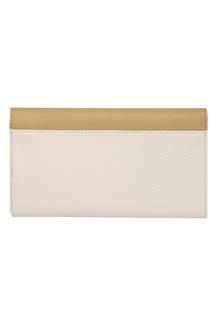 Besides, it features a snap closure that ensures the safety of your belongings. This two fold wallet comes with multiple card slots and slip pockets that will allow you to keep your monetary essentials in an organised manner. 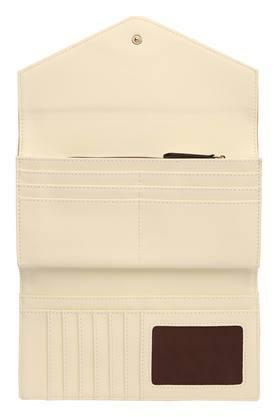 It will go pretty well with your favourite casual outfit.